A map of profanity in America. 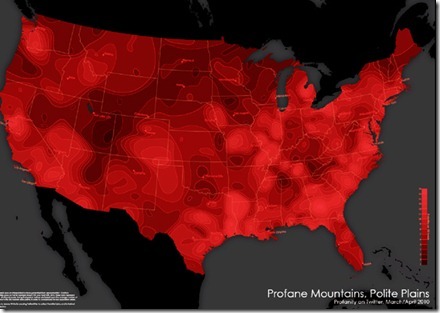 Daniel Huffman filtered 1.5 million tweets from March and April 2010 and mapped the rate of profanity across America. via Ted, who wished he had had a snow day, too.